Camping is always fun but it can be a hassle when you have to set up your tent. Setting up your tent can sometimes be a challenge. Especially since you have to deal with unruly tent poles and flimsy pegs that hold nothing down. But over the last few years, inflatable tents have been growing popular among campers. Inflatable tents use air rise technology that makes setting up your tent a simple task. 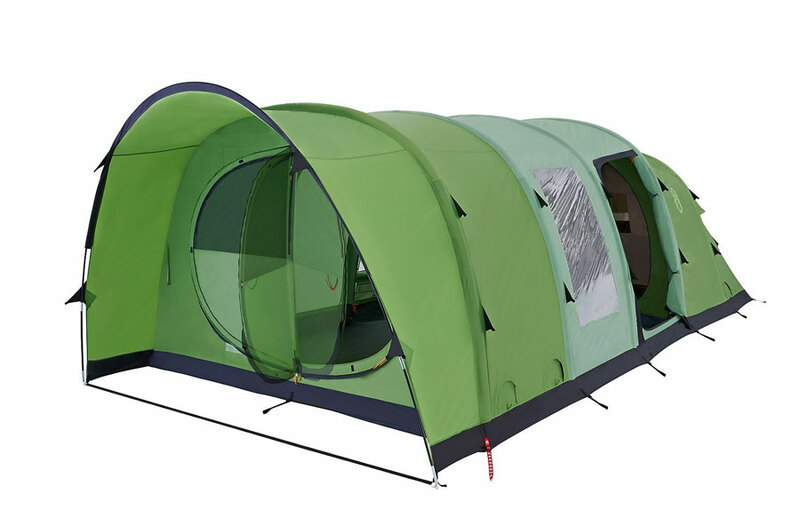 The majority of these tents use an interlinked frame that allows your tent yo be fully pitched in a few seconds. This means that all you have to do is hook up an air pump to the input valves and fill your tent up with air. In only a few minutes you will see start to see the inflatable poles fill up with air, resulting in your tent being pitched for you. 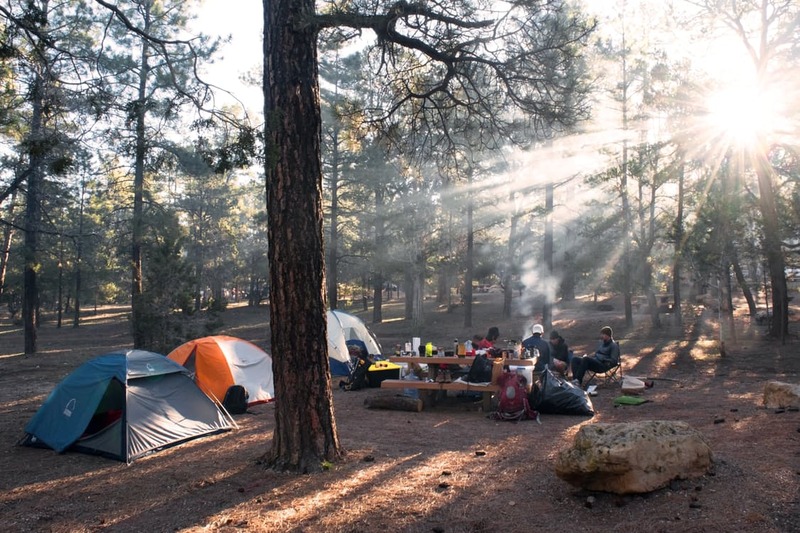 This table rounds up the best air tents that are ideal for camping trips. 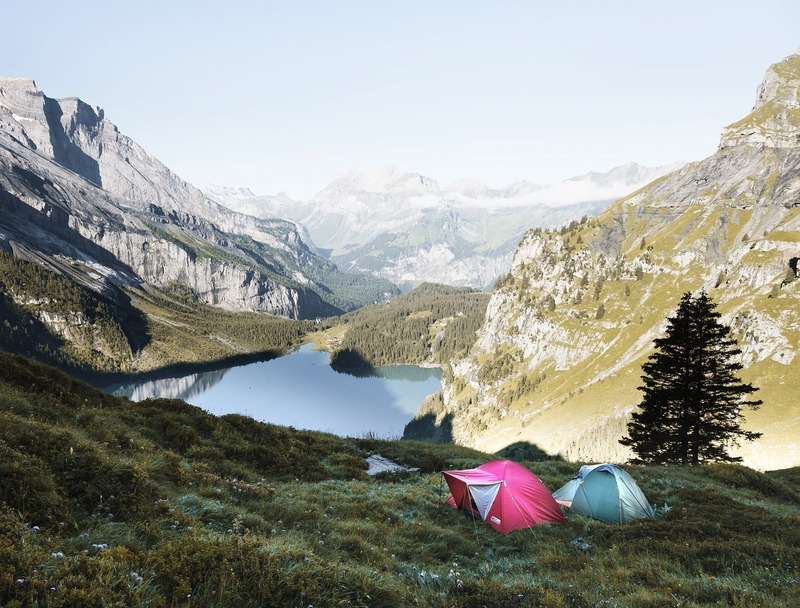 We have done some research for you and have found the five best inflatable tents that will make your next family camping more enjoyable. Inner Tent Height 58" 78" 74" 74" 40"
Air tents (Also called Inflatable tents and aerotents) are a revolutionary design that is changing traditional camping. Instead of using fiber or steel glass poles, these inflatable tents use inflatable beams that are filled with a high velocity air pump. The air beams then become stiff, firm and stable giving the tentrigid pole-free frame and stability in minutes. Air tents can be inflated in minutes. Pitching time takes about three to ten minutes depending on the size of the inflatable tent. 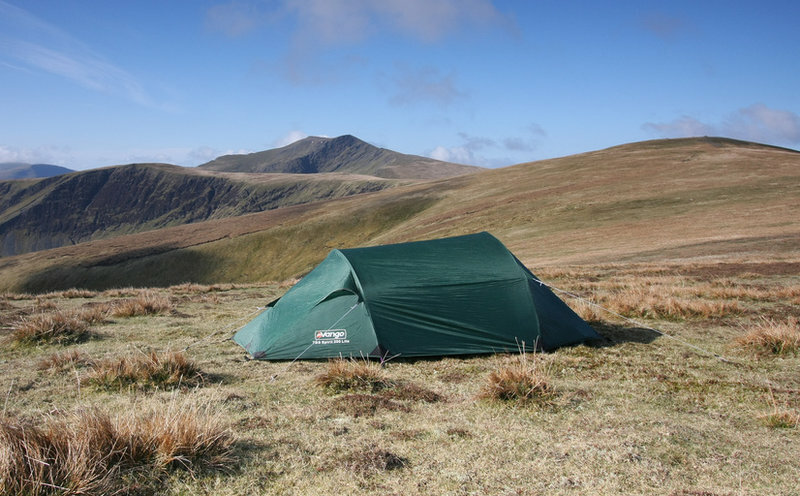 The air tent range is a great option if you have struggled with pitching of tents. 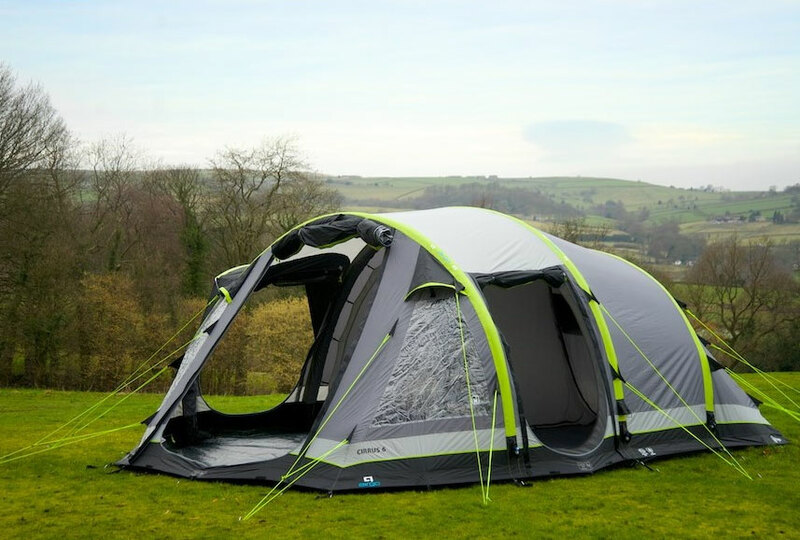 The air beam tents quick pitching features make it the perfect candidate for family and festival camping. We have rounded up details and an overview of some of the best inflatable tents on the market. 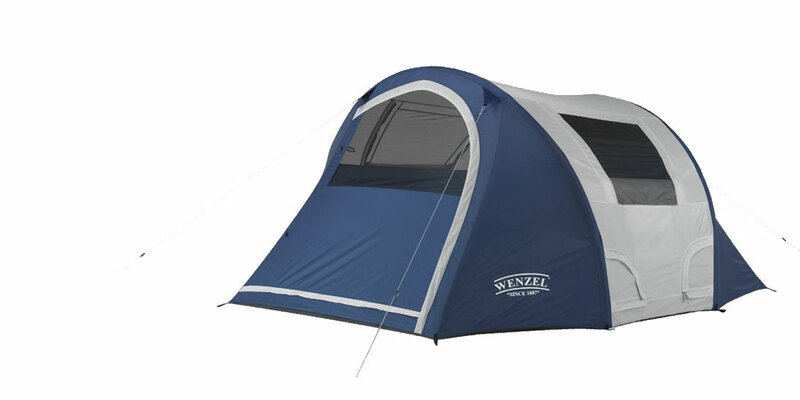 Wenzel Vortex 4 Air TentWenzel works to make camping trips an easy adventure. 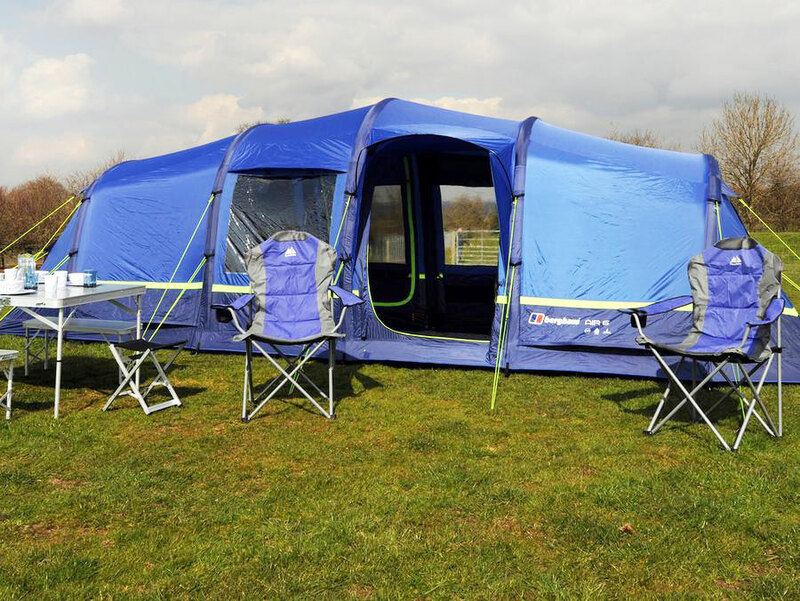 The Airpitch technology allows the set up of this tent to be quick and easy. The double action pump works to fill up the inflatable poles in under a minute, which gives you more time to have fun with your family. 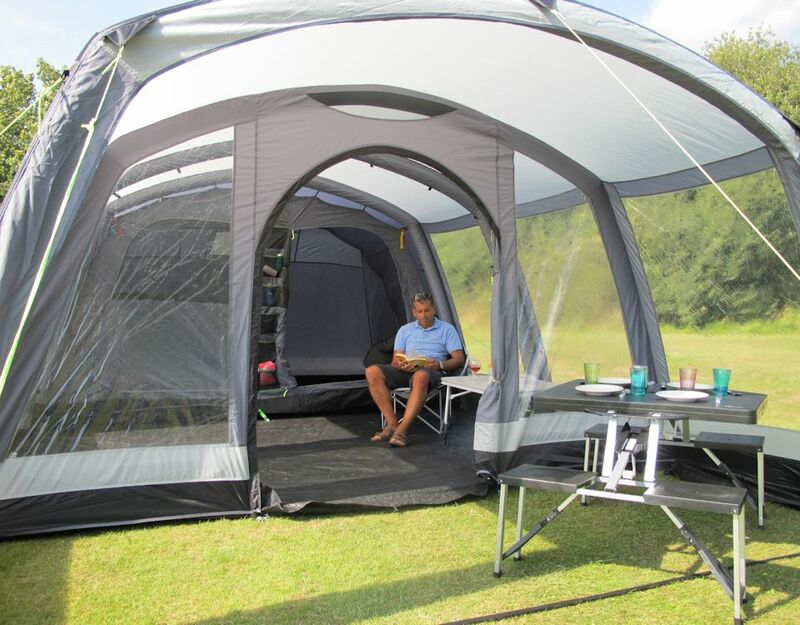 This inflatable tent is sturdy and weather resistant making it a perfect for all types of outdoor camping. Use the guy ropes to give your tent some added stability if you are out camping in windy weather. Being 78x58x41cm means that up to four people are able to sleep in this tent. To make the inflating process easier, stake down your tent before you fill it up with air. Air tents are supposed to be durable, long lasting and able to withstand harsh conditions during camping. This inflatable tent has zippers on fly and interior mesh panels that provide excellent cross ventilation. It has a gear organizer that enables It have extra storage space than normal style tents. It also has a hooped fly frame that enables have protection against the rain. It has combination ropes and stakes that make it be more steady after installation. Coleman has made quite a name in the world of camping. The Fastpitch Air 4 tent makes a great addition to their camping gear lineup. 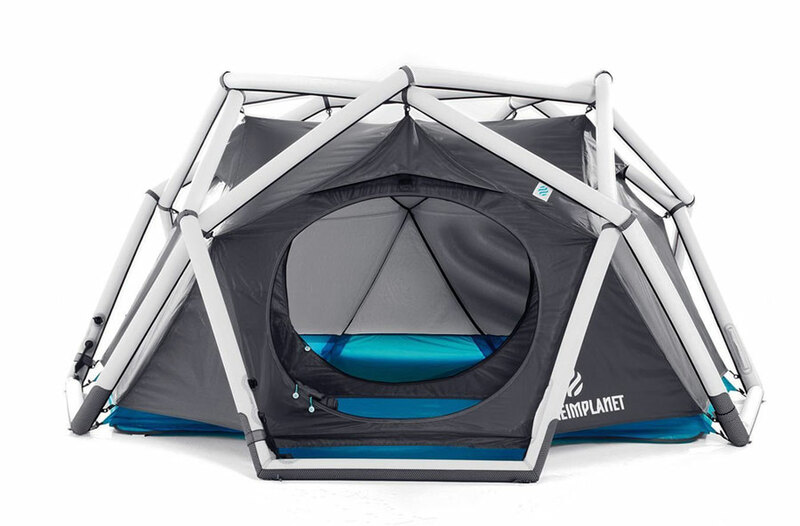 This tent has inflatable poles that are easy to inflate with the foot pump that comes with it. Having inflatable poles makes it easy for you to quickly set it up. Once they have been inflated the poles become stiff, stable, and will not bend. 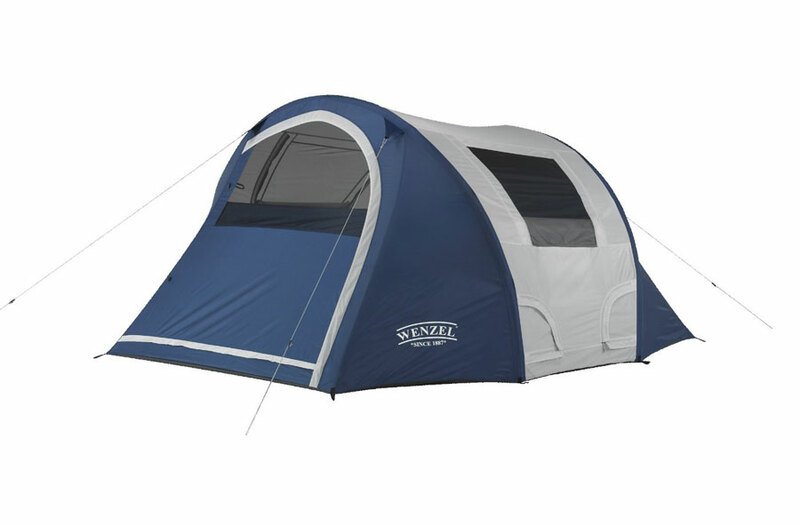 The dimensions of this tent are 58x38x46cm, and the height inside the tent is 78 inches. This means that it is able to sleep four people and comes with two bedrooms. These rooms are designed with Coleman’s innovate ‘Blackout Bedrooms’. This technology works to completely block out any light. It allows your tent to stay cooler during the day and warm at night. Kelty has created an easy to use inflatable tent that is able to hold your entire family. To set up this tent, you will have to find a space that fit a 300x270x190cm tent. Once you have found your perfect spot, lay the tent out flat and inflate your tent. It will be all set up in under 5 minutes, which makes your camping trip more enjoyable. 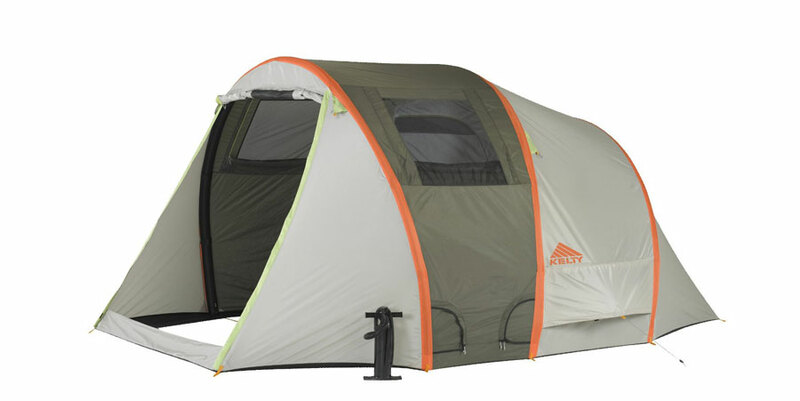 This tent can comfortably hold up to six people in two separate bedrooms. The integrated rainfly is built in and gives you the option of setting up your tent from the inside if you get caught in a rainstorm. The Mach 6 tent comes with a vestibule area that does not have a built in floor. 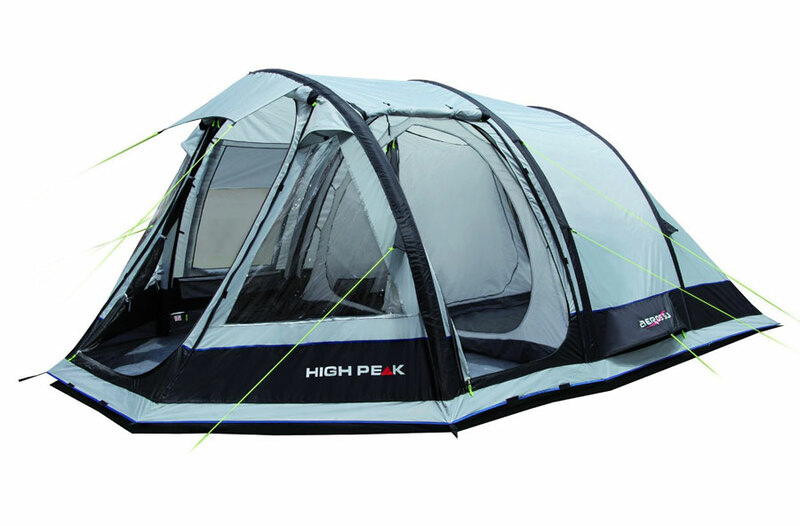 The High Peak Aeros 5.0 Tent is a great tent option for families that love spending time in the great outdoors. 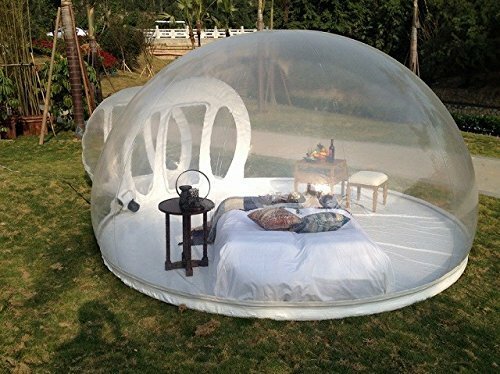 This inflatable tent is able to sleep four people comfortably due to its size which is 350x480x205cm. It can easily be divided into two different rooms so you can create a sense of privacy. While you can set up the tent by yourself, it is recommended that you have some help because it is a heavy tent. Having two entrances means that people can get in and out more efficiently. These entrances have mesh doors so you can easily ventilate your tent. The entire inflatable tent has been covered in a waterproof coating that works to keep water from getting your tent. This is one of the best inflatable tents on the market and looks a little different to your usual tent. It looks futuristic and is certainly designed to work well in different conditions and is very easy to put up. 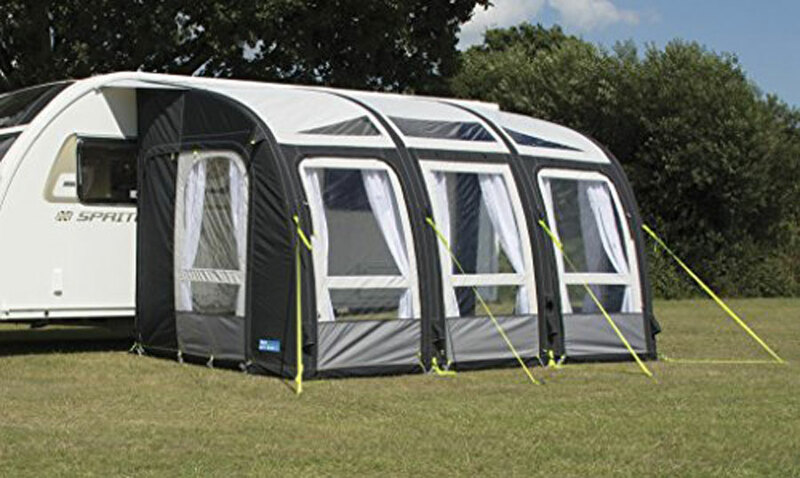 Designed to sleep up to 3 adults it comes with a pump and carry bag for it, the clever design of the inflatable beams makes it very sturdy when up and also in strong winds. 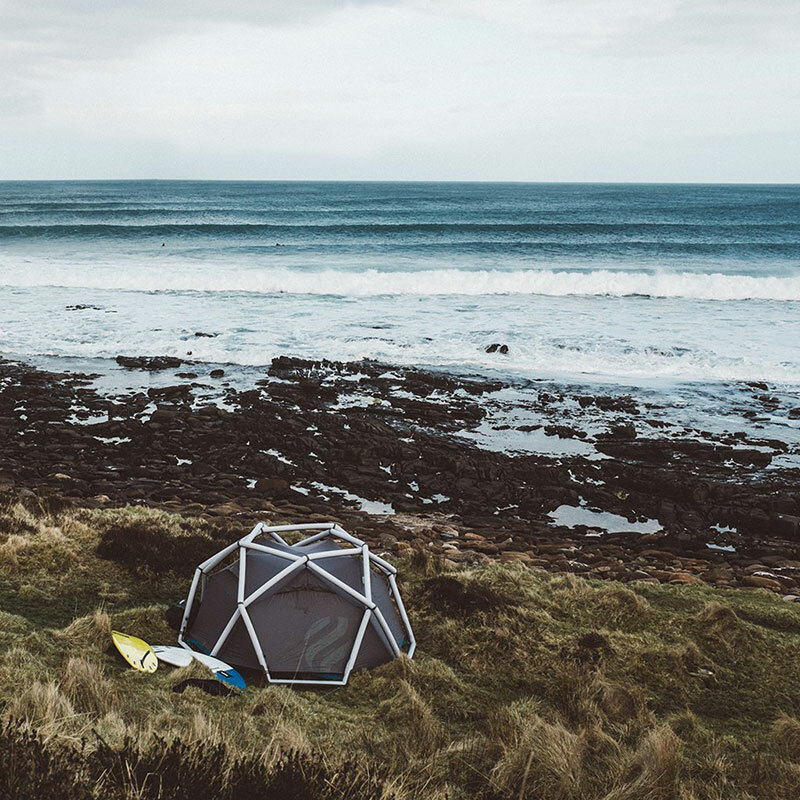 The Cave tent is a fun, geodesic inflatable tent, and can hold three people. 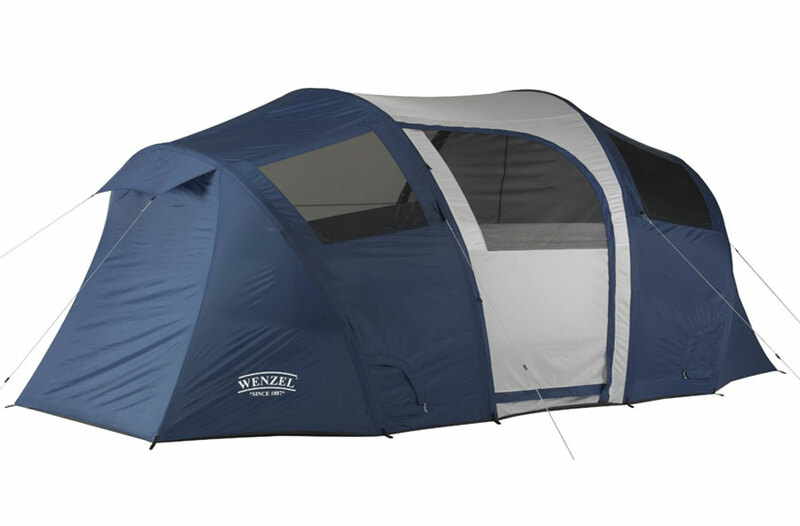 Simply lay out this 78x58x48cm tent and use a pump to fill the tent poles with air. There are five valves that are scattered all along the bottom of the tent. However, to inflate this tent you only need to pump air through one valve. All of these valves make deflating the tent an easy task. Within 60 seconds your tent is all set up and ready for you to sleep in. Use the guide ropes to create some added stability to this tent, they also work to weigh down the tent if no one is in the tent. The above highlighted air tents or inflatable tents are just a glimpse of the quality of air tents available in the market. They are durable, long lasting, waterproof and are spacious enough for a whole family. They are available in all leading stores across the UK.